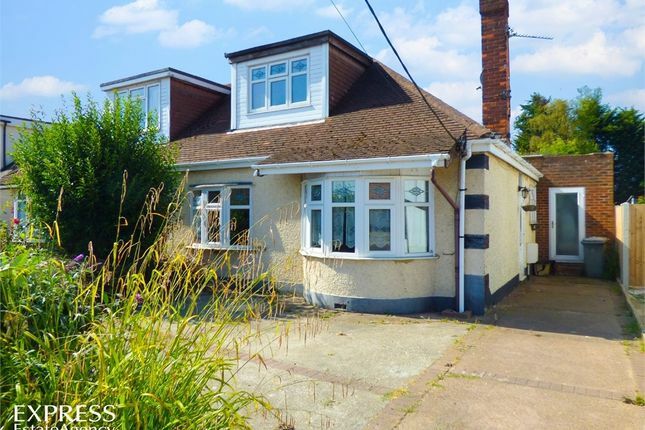 The Express Estate Agency is proud to offer this Three Bedroom Semi Detached Bungalow. – all interest and offers are invited. Lounge - Wood effect flooring, feature fireplace. Kitchen - Fitted with a range of wall and base units, integrated appliances, sink with mixer tap. Utility - Plumbing and recess for washing machine. Bedroom - Situated on the ground floor. Bathroom - Corner bath, pedestal wash hand basin and WC. Two Bedrooms - Situated on the first floor. Property descriptions and related information displayed on this page, with the exclusion of Running Costs data, are marketing materials provided by Express Estate Agency, and do not constitute property particulars. Please contact Express Estate Agency for full details and further information. The Running Costs data displayed on this page are provided by PrimeLocation to give an indication of potential running costs based on various data sources. PrimeLocation does not warrant or accept any responsibility for the accuracy or completeness of the property descriptions, related information or Running Costs data provided here.